Doctors Look At B Vitamin Choline During Pregnancy : Shots - Health News Researchers are exploring changes in prenatal nutrition to lower risks for future mental disorders. The work is preliminary, but there is ample precedent for maternal diet affecting children's health. Every day in the United States, millions of expectant mothers take a prenatal vitamin on the advice of their doctor. The counsel typically comes with physical health in mind: folic acid to help avoid fetal spinal cord problems; iodine to spur healthy brain development; calcium to be bound like molecular Legos into diminutive baby bones. But what about a child's future mental health? Questions about whether ADHD might arise a few years down the road or whether schizophrenia could crop up in young adulthood tend to be overshadowed by more immediate parental anxieties. As a friend with a newborn daughter recently fretted over lunch, "I'm just trying not to drop her!" Yet much as pediatricians administer childhood vaccines to guard against future infections, some psychiatrists now are thinking about how to shift their treatment-centric discipline toward one that also deals in early prevention. In 2013, University of Colorado psychiatrist Robert Freedman and colleagues recruited 100 healthy, pregnant women from greater Denver to study whether giving the B vitamin choline during pregnancy would enhance brain growth in the developing fetus. The moms-to-be were randomly given either a placebo or a form of choline called phosphatidylcholine. Choline itself is broken down by bacteria in the gut; by giving it in this related form the supplement can more effectively be absorbed into the bloodstream. Those in the treatment group received 3,600 milligrams of phosphatidylcholine in the morning and 2,700 milligrams at night. Since phosphatidylcholine is roughly 13-15 percent choline, the amount the women received was about 900 milligrams of choline a day, twice that recommended by the Health and Medicine Division of the National Academies (and about the same amount contained in three large eggs). Can Mom's Pregnancy Diet Rewire Baby's Brain For Obesity? After birth, infants were given either 100 milligrams of liquid phosphatidylcholine or placebo once a day for approximately three months. Given that both groups were also getting choline from regular feeding, the dose ensured that those supplemented received well over the Institute of Medicine's guideline that infants receive at least 125 milligrams a day. At 5 weeks old, the children were exposed to a series of clicking sounds in the lab while their brain activity was monitored by electroencephalogram, or EEG, a method for recording electrical brain activity via electrodes placed on the scalp. Normally, when exposed to the same sound successively, both infant and adult brains will exhibit "inhibition," or a far weaker pulse of activity in response to the second sound. We realize that the now familiar tone is insignificant; our brains are unmoved. However, in some kids this inhibition doesn't occur — a finding linked with an increased risk for attention problems, social withdrawal and, later in life, schizophrenia. The results published in 2013 in the American Journal of Psychiatry by Freedman's group show that 76 percent of newborns whose mothers received choline supplements had normal inhibition to the sound stimuli. The proportion fell to 43 percent in those born to mothers who didn't get them. It appeared that choline might steer the infant brain away from a developmental course that predicted mental health problems. A follow-up study at 40 months found that the children who had received choline supplements in utero and after birth had fewer attention problems and less social withdrawal. Excessive choline consumption — or that over 7,500 milligrams a day — has been associated with drops in blood pressure, sweating, gastrointestinal side effects and a "fishy" body odor. Most American diets contain a significant amount of choline, and supplementation to optimal levels poses no known side effects or risk to fetal development, Freedman says. One of the first genes to be linked to schizophrenia goes by the catchy name "CHRNA7." Normally it encodes for a receptor on neurons in the brain that respond to the neurotransmitter acetylcholine as well as nicotine, a transmission essential to normal brain function and cognition. Genetic mutations in the CHRNA7 gene cause decreased levels of the neuronal receptor to be produced in people with schizophrenia. A light bulb glowed for Freedman. And the idea, he admits, is rather simple when you think about it: Choline is known to be essential to brain development and function and is also frequently deficient in pregnant women. Couple these facts with animal and human research by Freedman and his colleagues showing that choline in the amniotic fluid also activates the CHRNA7 receptor in the developing fetal brain. "It occurred to us that just as folic acid can help overcome defects in brain and spinal cord development, perhaps supplementing mothers with choline could help prevent mental illness," Freedman recalls. "And now that the children in our study are over 4 years old, we can see that those given the supplement appear to be on a different developmental track, one with fewer mental problems." Moreover, though experimental psychosis treatments targeting the CHRNA7 gene and the receptor it codes for are being explored by other researchers, Freedman explains that levels of the receptor peak in the fetal brain and diminish after birth. "We realized the optimal time to try this intervention is during pregnancy," he says. Though choline is available in a number of foods — eggs, seafood and liver are particularly rich in the nutrient — Freedman's work suggests that for many women, dietary sources may be inadequate during pregnancy. Also, prenatal supplements tend not to include it. Two past observational studies — conducted with diet questionnaires rather than the more rigorous placebo-controlled supplementation Freedman's group tried — also found beneficial effects associated with higher maternal choline intake during pregnancy. At 7 years of age, children of moms consuming over 400 milligrams of choline a day performed better on memory and intelligence tests. At 18 months, infants whose mothers had higher blood levels of choline had significantly higher cognitive test scores. Dr. Steve Zeisel of the University of North Carolina was one of the first doctors to strongly advocate for choline supplementation in pregnancy. In 2012, Zeisel published the only other placebo-controlled trial of the vitamin in pregnant moms. While he did not assess for future mental health risks, the findings suggested that choline supplementation did not enhance infant cognitive function at 1 year of age. However, Freedman point outs that all of the women included in the trial were highly educated and were found to have blood metabolites reflecting diets high in healthful, choline-containing foods. The prospects of choline supplementation in pregnancy have piqued medical interest, but also notes of caution. "I think the choline research is really intriguing, and we're starting to investigate maternal choline levels as well," says Catherine Monk, an associate professor in psychiatry and obstetrics and gynecology at Columbia University Medical Center. "Some prenatal vitamins do contain it and foods rich in choline are readily available. But we have a lot more research to do before we start recommending it widely." In general, evidence-based interventions during pregnancy and early childhood to prevent mental illness are scant. Yet there are some modifiable risk factors that might make a difference, many of which focus on improving maternal wellbeing. Monk's own research explores on the impact of an expecting mother's emotional state on the developing fetus. She and others have shown that stress, depression and anxiety during pregnancy increase a child's risk for ADHD, conduct disorders and depression later in life. 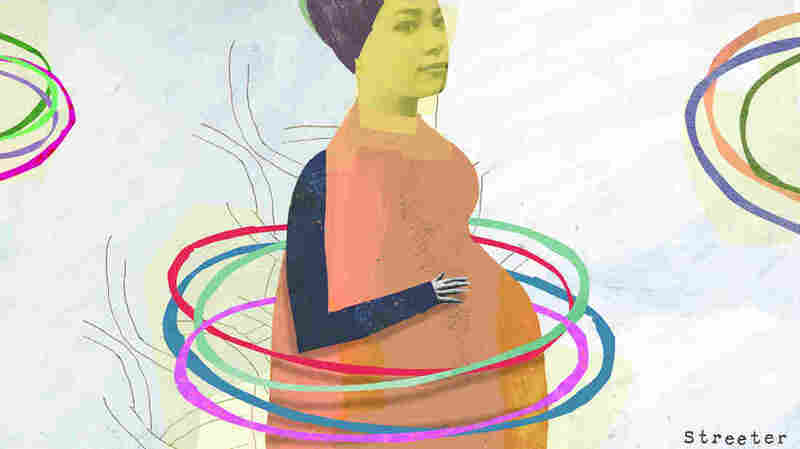 At Columbia, Monk and her colleagues employ a program Practical Resources for Effective Postpartum Parenting, or PREPP, in which pregnant women who are distressed and at high-risk for postpartum depression are counseled and taught coping skills to make pregnancy and parenting more manageable emotionally. Optimal nutrition, including choline and adequate amounts of zinc and omega-3 fatty acids, may also have developmental and mental health benefits as might avoiding smoking. Despite incomplete data on choline supplementation, Freedman's research colleague Dr. Camille Hoffman-Shuler, an obstetrician, sees it as a promising intervention that should continue to be explored. "Obstetricians and midwives are not widely aware of choline supplementation," she says. "But I do recommend it to pregnant women, especially if they have other mental health vulnerabilities. And I'd personally want it with a future pregnancy based on existing data." Both Freedman and Hoffman-Shuler hope to continue choline research, yet decry the obstacles to securing the money to do it. "The NIH is currently funding no trials of any intervention in humans during pregnancy to prevent mental illness," says Freedman, "yet ideally we'd follow these children for another 20 to 25 years to see if they develop mental illness. This is beyond the scope of most imaginable — and fundable — experiments." Hoffman-Shuler is prepared to do what it takes. "The hardest part is getting this across to the funding agencies and the public," she says. But this is a serious public health issue in which prevention during pregnancy is far more preferable to the loss of health and consequences that come with mental illness!" Bret Stetka is a writer based in New York and an editorial director at Medscape. His work has appeared in Wired, Scientific American and on The Atlantic.com. He graduated from University of Virginia School of Medicine in 2005. You can follow him on Twitter: @BretStetka.